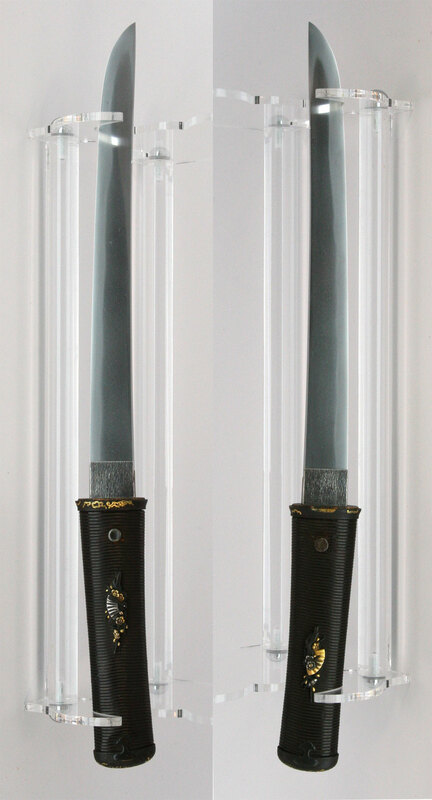 Aikuchi Hirazukuri Tanto in the Soshu Style of the Koto Period. 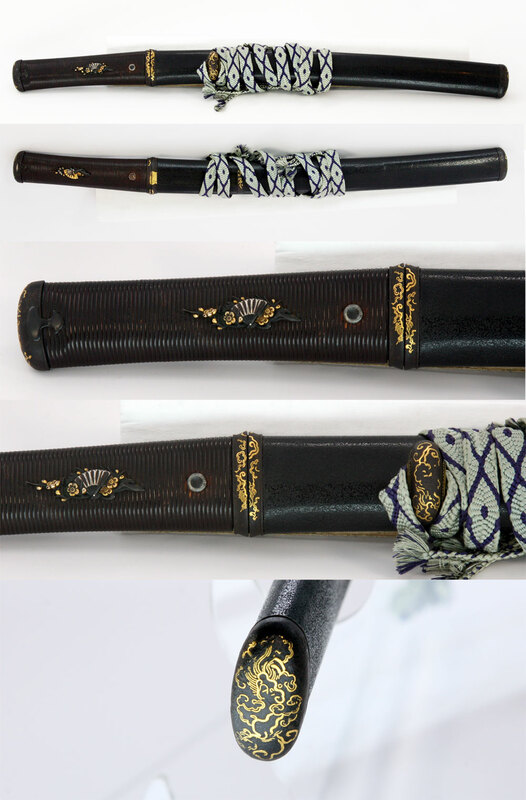 Fine hamon of suguha with ko nie and nice kinsuji throughout the hamon. The jigane is itame with jinie and chikei. The blade is in very good polish and condition. The rare aikuchi mount is seldom seen in Higo mountings. Most likely this was worn by someone of status. The fittings are all ensuite with the exception of the menuki, which are Shakudo silver and gold fans and plum blossoms. The Ishime lacquer is very nice and the lacquered wrapped tsuka looks very nice. Both mount and blade in very good condition.